Ever the stylish, refined sedan, the newly updated 2019 Kia Optima is here to exceed even your highest expectations. The brand-new Optima comes with a long list of upgrades, both inside and out. New styling elements contribute to this sedan’s upmarket style. For starters, standard LED daytime running lights are on every model. Besides looking good, daytime running lights also serve the practical purpose of making sure drivers can see you coming. Options like projector-beam foglights and LED foglights increase both visibility and safety on a misty morning. Interior upgrades include new leather seats with seat heaters and options like ambient multi-color lighting and a heated steering wheel. With any or all of these items, you can transform your Optima into a luxury sedan – albeit a very affordable one. 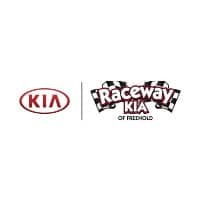 Why choose the 2019 Kia Optima? The Optima is the total package. It supplies a smooth, powerful ride, compliments of three engine options. Choose the one that brings you the most fuel economy – up to 27 city/37 highway – or the one that supplies superior speed, with 245 horsepower. Inside, the Optima’s supportive, roomy seating and options like leather upholstery mean rich comfort. The tech lineup is equally impressive. Choose from a range of Uvo infotainment systems, all of which include Apple CarPlay and Android Auto smartphone capabilities. The latest in smartphone technology, Apple CarPlay and Android Auto display apps on the central touchscreen and give you access to your phone’s voice controls. Ultimately, they offer a safer way to stay connected. What comfort and convenience features are available? Whatever trim model you select, the 2019 Kia Optima has interior upgrades to go around. The base model sports stylish, Stinger-esque LED daytime running lights, so that everyone will see you coming. In the Optima S, push-button ignition is a simple way to get off to a good start. The luxurious Optima EX introduces new leather seats with seat heaters, specially designed to provide rich comfort for hours on end. Add the SLX package to your sporty Optima SX, and you’ll enjoy an extra dose of style with your choice of red-and-black or bronze-and-black leather seats. Is the 2019 Kia Optima safe? This stylish sedan was designed with your safety in mind. This year, the Optima introduces a driver attention warning system. It detects signs of drowsiness and lets you know when it’s time to pull over and rest. Best of all, this technology is standard equipment, so you don’t have to pay extra for peace of mind. Blind-spot warning is also standard in every Optima. This feature alerts you to vehicles lurking outside your line of sight to help you safely switch lanes or merge into highway traffic.